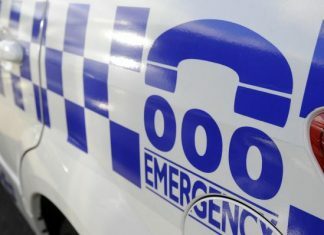 After Black Saturday, the Dandenongs were identified as one of the most high-risk locations in Victoria. One way to reduce that risk is planned burning. Over the past week, large swathes of land in the Dandenong Ranges have been burnt as part of planned operations. With many more planned around the Yarra Ranges area, the Mail spoke with Forest Fire Management members about the extensive planning that goes into these burns and how important they are to reduce fire risk in the community. 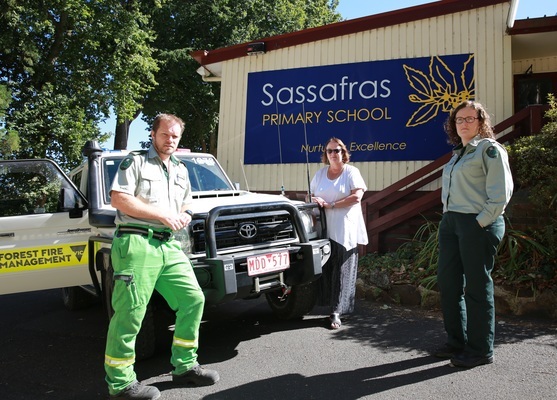 One of those burns, on 13 April, which burnt 6.8 hectares on Aurora Rise in Sassafras, has been years in planning and now that it’s completed provides comfort for residents living in the area – especially Sassafras Primary School. “This burn was an asset protection plan … it’s a burn that’s objective is to protect communities in this case largely the school and other assets in sassafras and Olinda,” Mr Shane Vandenborn Senior FFM manager for Fuel Management said. This planned burn had been years in the making and was important due to the proximity of the burn to Sassafras Primary school which backed onto the planned site. Principal Cathy Jones said that although the school has a fire plan and relocates to Boronia Primary on severe or code red days, she now feels much more comfortable going into the next fire season. “You go up the back of this school and it’s just bush,” Ms Jones said. “While we’re gradually increasing in what we do around the school … clear the land and have our plans, if that’s an extreme load of fuel at the back of the school then we can do all that we can, but we are still sitting ducks … unless you do those burns. Planning for these types of burns occurs at all levels, from checking weather patterns to ensuring tourists and locals know about the burn and what impact it may have on them. “We have a set of parameters we need to meet … weather, wind, humidity and then the fuel,” District Manager for FFM Stephanie Carr said. Mr Vanderborn said that he understands smoke from the planned burns can cause some concern for resident but there is only a small window of opportunity to undertake this fire risk reducing burns.